It’s time for Home Assistant 0.90 and it’s just wow. 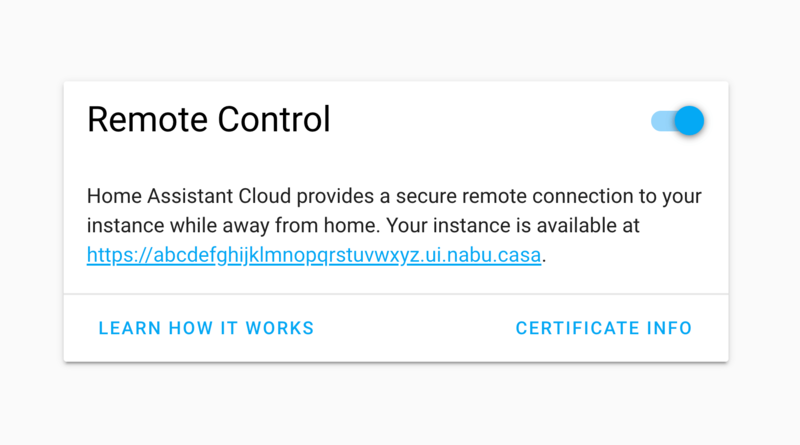 This release is so packed with cool stuff that it’s difficult to even know where to start, so let’s just jump in.The first big feature is that Home Assistant Cloud now supports remote control. This allows you to check in on your home while away from home. Get a notification that motion was detected? Now you can easily check what happened and take action while away. It works end-to-end encrypted. Only thing needed to get started is to enable it. That’s it. To get started, add stream: to your configuration.yaml, configure the generic cameraand start using the new camera.play_stream service. Default Config – Default config no longer contains the discovery component. That is now part of the initial written configuration.yaml. If you rely on default config and want to use discovery, add discovery: back to your configuration.yaml.